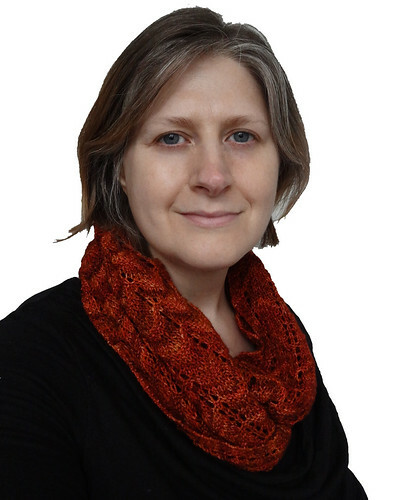 In January I made an infinity scarf/cowl for my Mum. I was delighted with it, and more importantly, she was. After trying the pattern on a soft drapey yarn, for her, I really wanted to try it on a springy and bright yarn. I chose a yarn that had been very kindly gifted to me by Tara. Tara is a long time blogging friend (and I highly recommend you check her blog out, as she makes lovely stuff) who knew how much I wanted to try Madelinetosh yarns. She knew that a skein of this delightful stuff, she had in stash, would be perfect for me, so she sent me it. I had been waiting for right project for this very generous gift and this seemed a perfect fit. Whilst I was knitting this project, I was a little worried about how the yarn felt. It felt less soft and more rigid than I anticipated, as I thought Madelinetosh yarns were all meant to be incredibly soft. Then I remembered this was the sock version of the yarn and this is why the yarn has an incredibly tight twist on it, to compensate for the lack of nylon. Once the project was soaked for a while and blocked, the yarn softened considerably. You can see the drape. 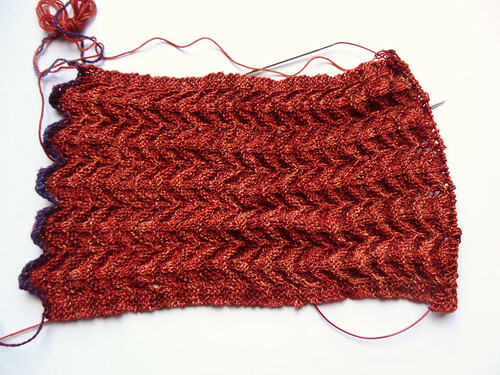 I thought this pattern would work for semi-solid yarns and I think I have been proven right by this project. I also think it would work well for variegated yarns. I really love the infinity scarf as an accessory. It's versatile, warm, stylish and it stays put. 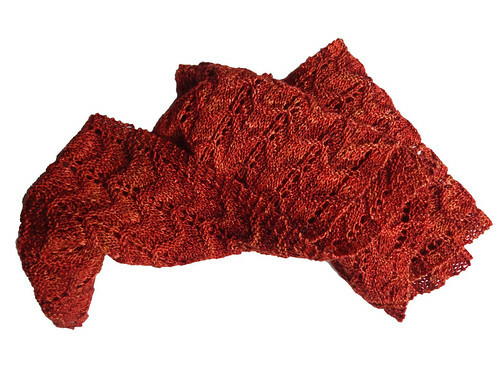 I love this infinity scarf and I love the rich warming colour of it. It fills a hole in my accessory wardrobe. I am really tempted to make another one in some new yarn I bought, Juno Fibre Arts Milly Singles in the Peacock colourway. This would also fill a void in my accessory wardrobe, and the yarn feels so soft, I know it would feel amazing round my neck. 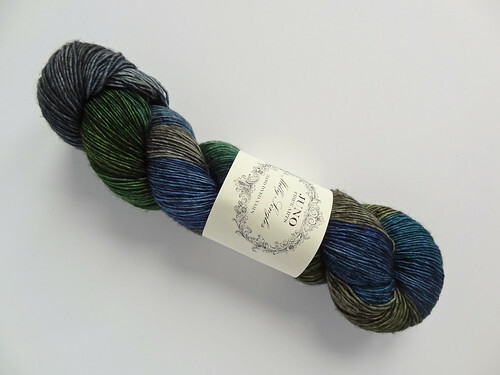 This is the first time I've bought anything from Juno Fibre Arts but there was a discount code for free shipping on one of the podcasts I watch and I fell in love with the colourway, the free shipping provided and excuse to get it. 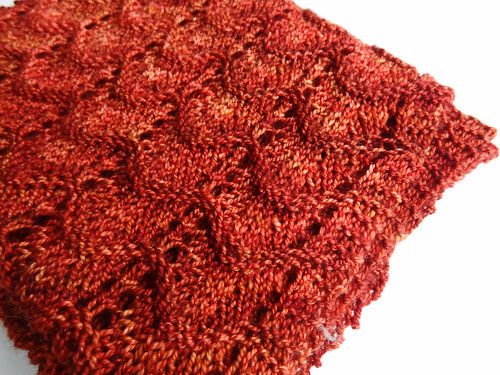 I have a feeling in a month or so you may see another set of photos of this particular pattern in my new pretty yarn.